Investigators are looking into the deaths of two babies who died during or shortly after birth in hospital last month. The external independent investigations could take up to nine months, hospital bosses were told on Wednesday (March 27). So Brighton and Sussex University Hospitals NHS Trust is carrying out its own review to find out whether lessons can be learnt more quickly. The trust has maternity units at the Royal Sussex County Hospital in Brighton, and the Princess Royal Hospital (PRH) in Haywards Heath. A report to the trust board set out details of ‘serious incidents requiring investigation’, also known as SIRIs or SIs. The report said: “There were four serious incidents declared during the period December to February. “Currently two of the SIs reported resulted in death. Both of these are in maternity and are being investigated by the Health Service Investigation Branch (HSIB). Dr Findlay added: “Because it’s taking up to nine months to report we feel we have lost the relationship with the families. They’ve been going through a bad time. About 260 babies a month – or more than 3,000 a year – are born at the Royal Sussex and almost 200 a month – or 2,400 a year – at the PRH. Across the country more than 100 newborns die on average every month. In 2016 more than 1,300 babies who were born after 24 weeks died in their first 28 days of life. The trust’s chief nursing and patient safety officer Nicola Ranger said that the HSIB investigations were similar to those after air crashes. 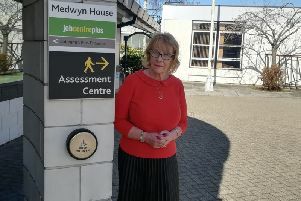 She told the board that in the past year there were 11 investigations at the trust, with a similar number at the Western Sussex Hospitals NHS Foundation Trust. Ms Ranger said that she had spoken to the chief maternity officer for England about internal reviews, saying that the trust wanted to make sure that they were as objective as possible. She said: “Our relationship with the family changes, as that is with the HSIB. This has made it quite challenging in reality. “We will still have to do our own internal review when something happens. If something needs to change, we need to get on to that straight away. One of the trust’s non-executive directors, Malcolm Reed, was shocked to hear that it would take so long, for the sake of the families involved. Professor Reed, who runs Brighton and Sussex Medical School, said: “Nine months with no feedback? That is catastrophic. Trust chief executive Dame Marianne Griffiths said that the trust had invited the national director of maternity services to talk to staff to find ways to move forward.